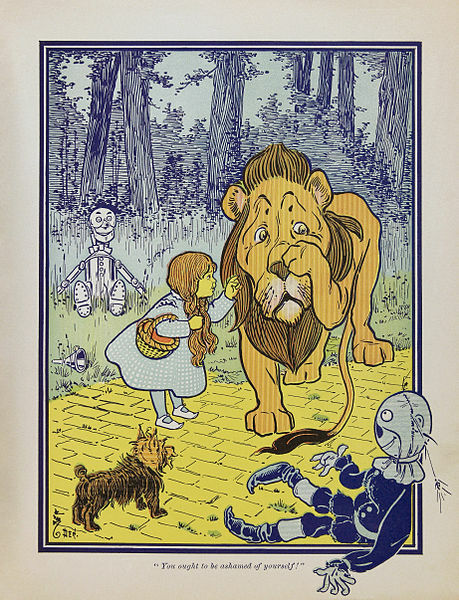 Last week I wrote about The Wonderful Wizard of Oz by L. Frank Baum in its incarnations as a popular children’s book, the 1939 movie that has become a holiday favorite, and the story’s latest incarnation as the musical Wicked. (Here.) What more is there to say about Dorothy’s adventures in Oz? It turns out The Wonderful Wizard of Oz can also been seen as a political allegory affecting the American presidential election of 1896. To set the stage, I need to review the political and economic situation in 1890s America. Don’t like history? Scroll down to Dorothy’s Allegory. 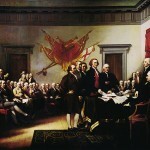 During the 1880s and 90s, the United States underwent massive social, political and economic change. Industrialization and large business conglomerates changed the face of American production from small businesses to immense enterprises employing a growing working class. Workers began to organize unions, a violent process pitting the working man against the forces of law and order. In the West, silver mines produced so well the cost of extracting the ore exceeded the sale price. Farmers were also in dire straights due to overproduction and could not make enough from their crops to pay their debts. The farmers believed that if the United States went off the gold standard and allowed more silver money to circulate, prices for their goods would rise, plus they would be able to pay their debts with cheaper dollars. The silver industry thought this was a brilliant idea. Responsive to pressure, Congress passed the Sherman Silver Repurchase Act in 1890. This dandy piece of legislation required the government to purchase 4.5 million ounces of silver every month. The United States became the second largest purchaser of silver in the world. To facilitate the new purchasing requirements the Treasury issued special notes that could be redeemed for either silver or gold. Gold was a better investment. 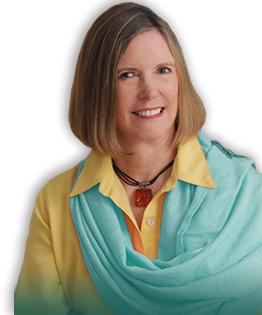 Investors redeemed the notes for gold dollar coins. By 1891, the price of silver fell to 69 cents per ounce. And, instead of assisting farmers, the Repurchase Act actually contributed to a deflationary economy that resulted in the Panic of 1893 – a large economic depression. In August 1893 Congress repealed the Sherman Silver Repurchase Act. The economy remained bad. People, particularly farmers, blamed Congress for their continued problems. A third political party called the Populists based their entire platform on the issue of “free silver.” They wanted silver to be accepted as legal tender for all debts public and private. In 1896 the U.S. Mint stopped producing silver coins. 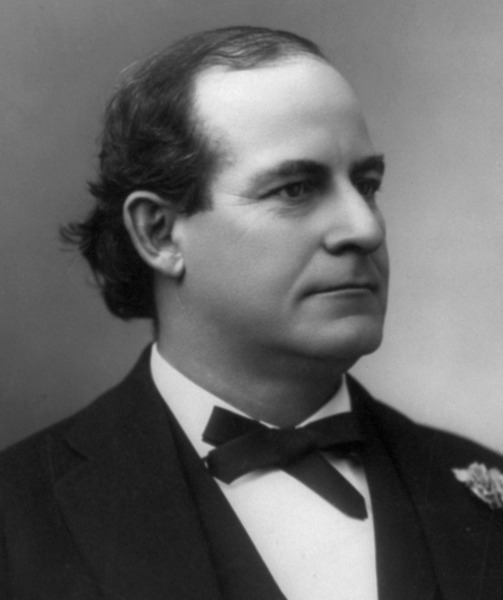 Photograph of William Jennings Bryan. 1902, U.S. Public Domain. Wikimedia Commons. Eighteen ninety-six was a presidential election year. 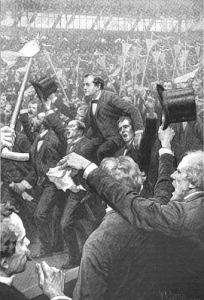 Republicans nominated William McKinley. As the party of business, Republicans supported the gold standard. To recruit “free silver” voters, the party platform stated Republicans would support the gold standard only until an international agreement made bimetallism the norm. Thus spoke the party of Reason and Order. On July 9, 1896 William Jennings Bryan mounted the podium of the Democratic Convention. A great orator and former congressman, Bryan wanted the presidential nomination. He was thirty-six years old. Bryan’s conclusion electrified the convention: “Having behind us the commercial interests and the laboring interests and all the toiling masses, we shall answer their demands for a gold standard by saying to them, you shall not press down upon the brow of labor this crown of thorns. 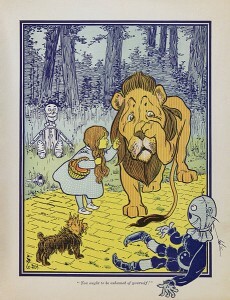 Dorothy Meets the Cowardly Lion. 1900 Illustration by W. W. Denslow. Public Domain. Wikimedia Commons. Writers are never isolated from current events, and many historians and economists have suggested that Baum’s book about Dorothy’s adventures in Oz was really an allegory about good and evil as played out in the campaign for free silver. Dorothy’s house lands on the Wicked Witch of the East, killing her instantly. This witch stands for the business and financial interests of the Eastern American establishment. The house smashes the witch and Free Silver crushes Big Business. Dorothy’s silver shoes are the bimetallic standard. 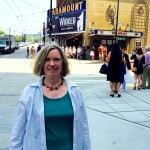 Dorothy embarks on the yellow brick road (gold) to the Emerald City (Washington D.C.). On the way she encounters the Scarecrow who thinks he has no brains but is actually quite shrewd. Representing the virtuous farmer, the Scarecrow knows who’s who and what’s what. The Tin Man is the American worker. The Wicked Witch of the East cursed him so he kept cutting off body parts with his ax. The tinsmith replaced them, and the man worked just as hard as before. Now entirely tin, he has no heart. Last week I asked why is it only the Lion who has a prefix in front of his name. He’s always Cowardly Lion. Turns out, the Lion is William Jennings Bryan. In 1896, Bryan was a man of courage. But after losing the election, he became a political coward downplaying free silver in favor of other issues. Well, maybe he does, and maybe he doesn’t. This journey down allegory lane doesn’t change my conclusion about the moral of the story. We all at some level feel excluded. We wish a wizard would solve our problems: be it Bryan for free silver or McKinley for a sound economy. Eventually everyone has to face his or her fear alone, a situation that usually requires hard work. Many thanks to David Hammes, economist extraordinaire, who brought Hugh Rockoff’s article about Oz as an economic allegory to my attention. Dr. Hammes bears no responsibility for my interpretation. 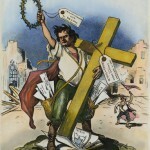 Featured Image: Cartoon of William Jennings Bryan and the Cross of Gold by Grant Hamilton. 1896. U.S. Public Domain. Wikimedia Commons. Hugh Rockoff. “The ‘Wizard of Oz’ as a Monetary Allegory. The Journal of Political Economy. Vol. 98, No. 4 (Aug., 1990), 739-760.